That migrants throughout the world may be welcomed with generosity and authentic love, especially by Christian communities. For the record, the timing isn't connected to the news or any local situation, but the Christmas story. Determined by the pontiff and circulated through the Apostleship of Prayer, B16's monthly intentions (one general, another for the missions) are always set during the prior calendar year. Accordingly, 2013's topics are already out and about. 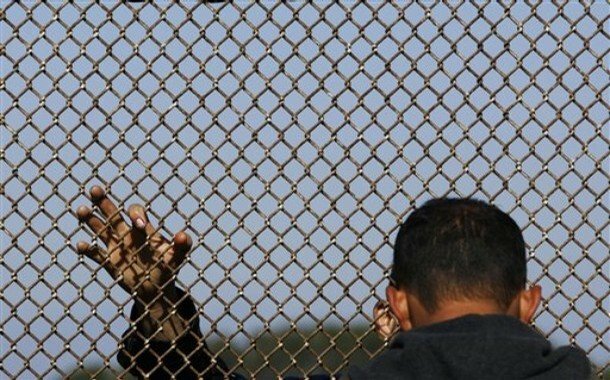 Still, amid the coming days that – more than any other – highlight the new migrant ascendancy that's already birthed American Catholicism's most epochal demographic shift in a century and a half, the reminder from Rome couldn't have hit at a better moment. In that light, another year of these shores' defining festival of faith at this hour of history begins this weekend with just the first round of parades and devotions in spots around the country... not for the Immaculate Conception, of course, but the de facto American Catholic "Super Bowl" that culminates four nights later, all while the Anglo contingent is mostly asleep. 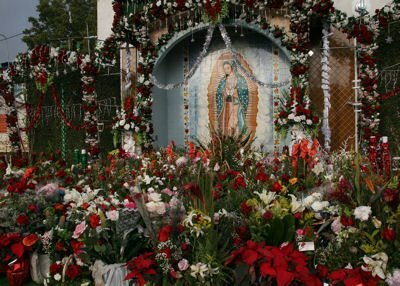 Now in its 81st year, the opening leg of the national Guadalupe Event is thought to see its marquee rite in this Sunday's traditional afternoon march through East Los Angeles, capped by Mass in an open-air stadium before an annual crowd in the range of 25 to 30,000. Home to some 5 million Catholics – twice its 1990 size – the LA church, 70 percent of it Hispanic, is the largest diocese in the five-century history of the Stateside church by a slim margin of some 2 million (put another way, by the size of the archdiocese of Boston). Nationally, meanwhile, Latinos comprise fully three-fifths of the domestic faithful younger than 30, and above all – precise figures of the undocumented being difficult to pinpoint – form either a plurality or an outright majority of the roughly 70 million-member fold coast to coast. Keeping with tradition here, the calendar's signal moment of this emergence will be these pages' Big Story over the next fortnight... because, well, what's Bigger than this?